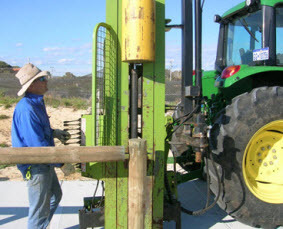 Our fencing team carry out rural fencing, utilising modern post/pile driving and post hole digging techniques. Limestone Park can also supply and install security fencing to any specifications, including Main Roads. Areas in which we operate, range from rural, urban and mining, to local government, and commercial environments. Please give us a call to discuss your requirements and to get an estimate of costs.